Eye pillows are perfect to block out light, sooth tired eyes and alleviate headaches. Not a fan of lavender? Order this scentless pillow! 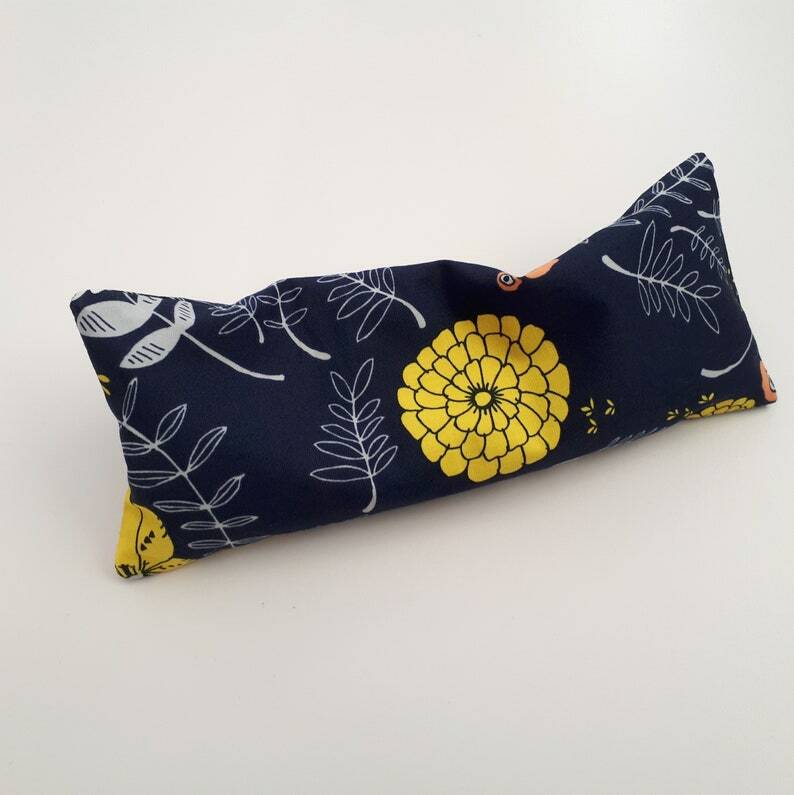 You can create your own aromatherapy with a few drops of your favorite essential oils on the inner lining of the eye pillow. It is advisable to allow this to dry for one hour before use and to avoid direct contact of the oil with the eyes. This listing is for an eye pillow that is filled with only flax seed. Flax seed retains moisture and will help maintain cool/warm temperatures longer than other fillers. You can store the eye pillow in a plastic bag in the freezer for at least an hour for cooling. You can also warm it in the microwave in 10 second intervals until the pillow is warm. All pillow covers are made of 100% cotton. The outer cover can be removed and washed.